Conflict of Interest for New Herald Columnist? The Herald promo made her sound like Mary McGrory, but I’ve never heard of her. Then I clicked on her own bio and it says she’s a fundraiser for Scott Brown and sits on Charlie Baker’s finance committee. Is that current information, or did she have to step down from that post once she got the column? 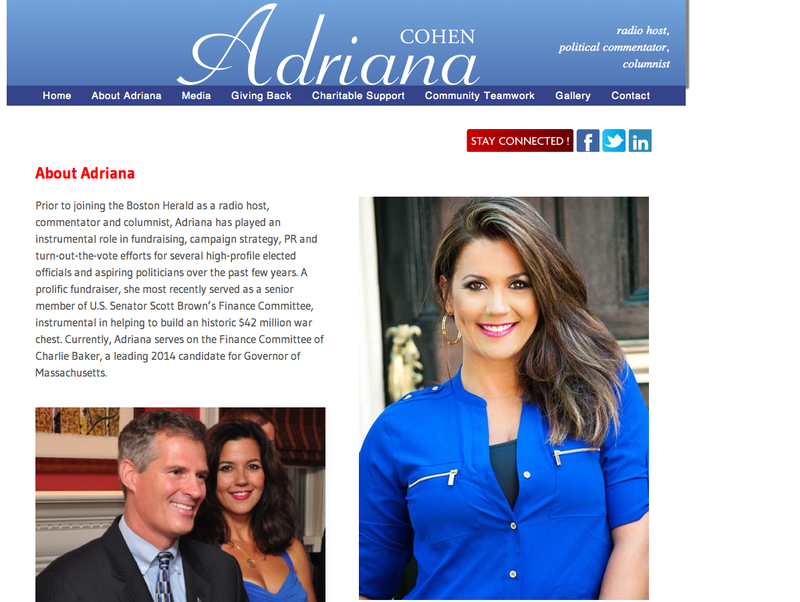 Well, it’s certainly current on Cohen’s website (although the Scott Brown fundraising seems to be in the past tense). We’ve sent an email to the Baker campaign to clarify the matter. We hope. This entry was posted on Thursday, November 21st, 2013 at 2:42 pm and is filed under Uncategorized. You can follow any responses to this entry through the RSS 2.0 feed. You can leave a response, or trackback from your own site. 2 Responses to Conflict of Interest for New Herald Columnist?